On 7/30/2011 we took a scenic drive. From Placerville we took highway 193 to Georgetown, headed east on Wentworth Springs Rd. to Ice House Rd., stopped at Loon Lake, and then took Ice House back to US 50. 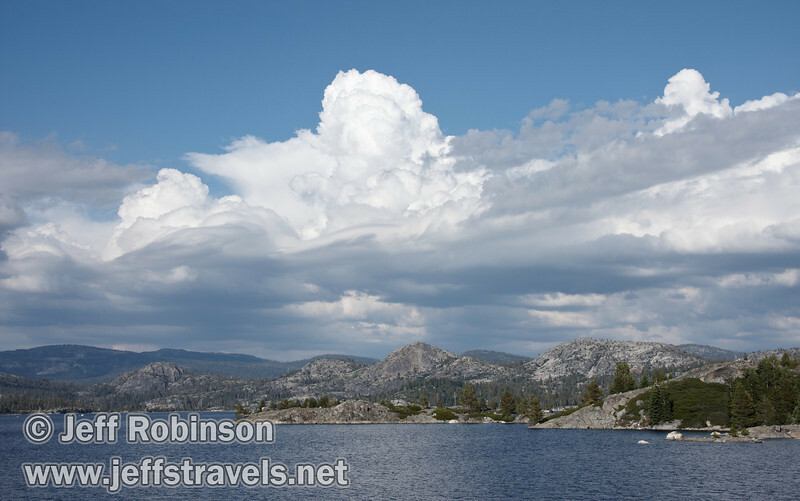 There were some nice cumulonimbus clouds over the mountains that day past Loon Lake, which is the only place we stopped for photos that day.